The entire transport network will be controlled by Chennai Unified Metropolitan Transport Authority Act once the CUMTA Rules 2018 are notified. 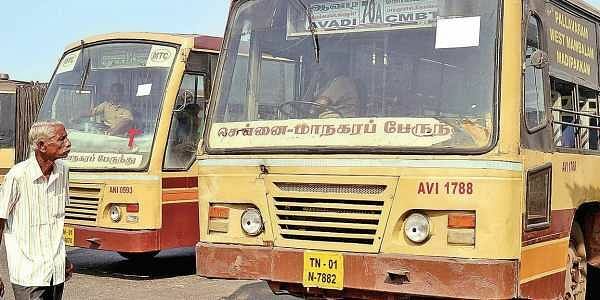 CHENNAI: Nearly eight years ago after Tamil Nadu came out with Chennai Unified Metropolitan Transport Authority (CUMTA) Act to carve out a single nodal agency that directs planning, operations, and monitoring of various transport modes in the metropolitan area of Chennai, the State is now thinking of implementing the law by drafting the rules. This would mean that Chennai’s entire transport network will be controlled by CUMTA Act once the CUMTA Rules 2018 are notified. This comes after CUMTA, which was to frame an urban transport policy for Chennai Metropolitan Area on the lines of National Urban Transport Policy, received the assent of the Governor on November 27, 2010 and was published in the Tamil Nadu Gazette Extraordinary on December 2 the same year. Since CUMTA Act could not be notified by the government, the authority could not be formed and as a result, it delayed integration of all public mass passenger transport modes by means of various measures, including routing and scheduling, operating feeder services and combined or common ticketing to facilitate seamless commuting options. Under the proposed rules drafted by the government, CUMTA will have a secretariat within the urban mobility area to discharge its functions. It will also have a Member-Secretary, who shall be the chief executive of the Authority and all officers and employees appointed by the authority shall be under his control. Currently, the State government has 10 different agencies, which are involved in traffic and transportation management in Chennai Metropolitan area and governed by various ministries and departments. Aswathy Dilip, manager, Institute for Transportation and Development Policy, said since many agencies are involved in planning, providing operations and managing transportation system in the CMA, the role of such agencies overlap each other. “The strength of CUMTA lies in its ability to bring together the multiple agencies that are represented on its board. As a coordinating body, CUMTA can help institute integrated transport planning and decision making for Chennai as a whole. CUMTA can help give direction to individual agencies and to the government’s overall strategy,” she said. She also said CUMTA should develop internal planning and monitoring capability and can be supported by external experts. The authority can pursue planning and other activities in close alignment with operations and ensure that key decisions are informed by those responsible for operations within line agencies, or people with operational experience. CUMTA will be most effective if it functions as a strategic planning and monitoring agency with limited operational responsibility. Operations can be managed by existing line agencies. A former planner said that member secretary of the authority to be selected should be well versed in transport planning rather than a mere administrator as the authority should have a vision for seamless connectivity. Nov 27, 2010: CUMTA receives Governor’s assent.